Anyone can mail an ad to a mailbox. 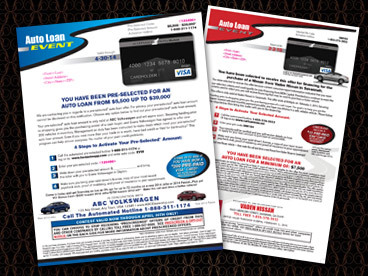 But only JVS Marketing can design direct mail advertisements that are effective, personalized and targeted to your dealership’s prospects. And we track every single piece to give you reports on its effectiveness. JVS Marketing doesn’t shy away from proof because our Creative team is the best. We have in-house designers, writers, producers, editors and photographers who put compelling copy with vivid visuals to deliver creative that rivals everyone else. Simply put, it will crush your competitors and ensure your sales goals are met. Why are we so effective where others fail? Because by tracking the calls and website visits and walk-ins from your direct mail campaign, JVS Marketing is able to track online leads and sales. 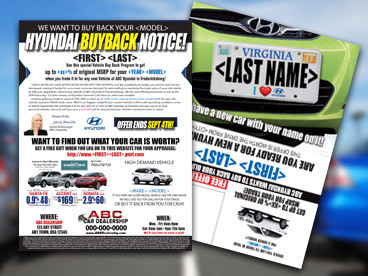 In other words, you’ll know exactly how many cars and trucks were sold as a result of your campaign with JVS. 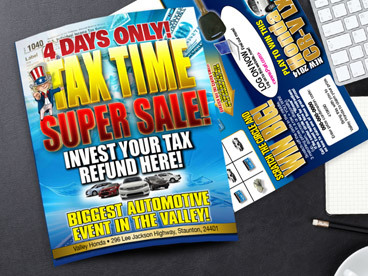 JVS is a full service award-winning agency specializing in the Automobile industry. 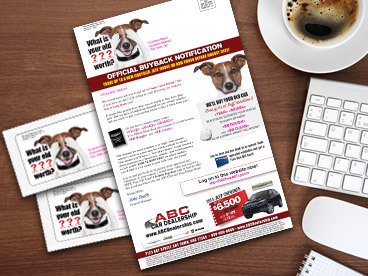 We produce interactive mail that produces measurable results. But we’re more than just looks- we have brains too! While a mailer might look pretty and have enticing offers, if it’s sent to everyone in a certain geographical area, without any qualifications, it’s probably wasting your money. That’s not smart advertising….no matter how good it looks. And believe me…we look good! JVS creates all types of postcards and brochures, letters and mailers. Chances are, if you’ve seen it, we’ve designed it. This is possible because our agency, with over 20 years of experience, creates thousands of lists containing millions of consumer names every year. By working with our dealer’s own customer lists, and from sources like Polk Sales, Cross Sell Registrations and Manufacturer Franchise Reports, we can develop a qualified prospect list to deliver more bang for your buck. 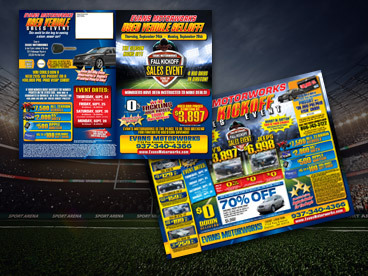 Couple that with our graphic design team who adapts relevant content personalized to the recipient, and you’ll understand why our mailers are carried into the dealerships instead of to the trashcan. We don’t do junk mail. 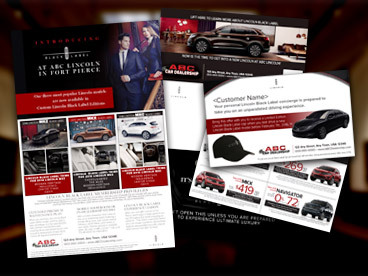 Direct mail is just one of the many Automotive marketing solutions that work for our clients. 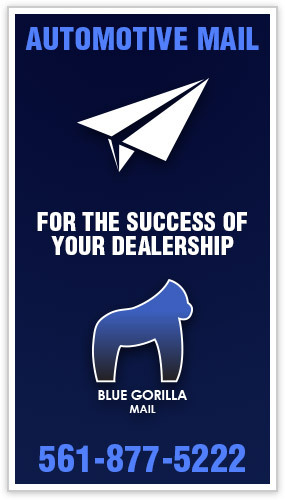 For more information on how we can drive qualified car-shoppers into your showroom, contact us today.